Hosted a luncheon for Latino CEOs to engage them in conversation on the future of Dallas as a destination. An update was provided on VisitDallas' goals and objectives. 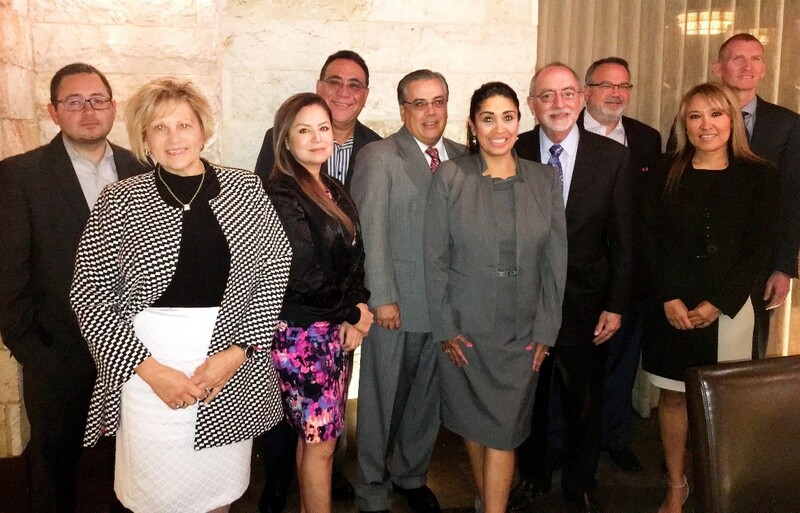 Attendees included Amanda Lake, Principal, Jim Lake Companies; Socorro Dismore, Principal, Levine Stores; Alfredo Duarte, CEO, TAXCO Produce, Inc.; Dr. Jim Rodriguez, Founder of Southwest Concessions; Betty Manetta, CEO, Argent Associates; Noe Hinojosa, President and CEO, Hinojosa Estrada Co, Inc.; Andres Ruzo, President, Link America and Luis R. Spinola, Rama Enterprises. VisitDallas' Chief Diversity & Inclusion Officer and Chief Experience Officer attended the Women's Foodservice Forum Annual Leadership Conference in Orlando, FL. to welcome over 3,000 attendees to Dallas in March 2018. Ten lucky attendees were winners of a Dallas experience, that was well received and got the audience excited about Dallas. The team attended Simpleview Summit (CRM system used by VisitDallas) in Phoenix, AZ, where our Diversity and Inclusion Manager, Maria Espinosa, presented an overview of Diversity and Inclusion best practices and the utilization of VisitDallas' CRM system. This was a first-time session for the Simpleview Summit titled "Beyond Diversity and Inclusion". In preparation for the Korean American National Sports Festival, June 15-18, the team is collaborating with the Dallas Sports Commission. 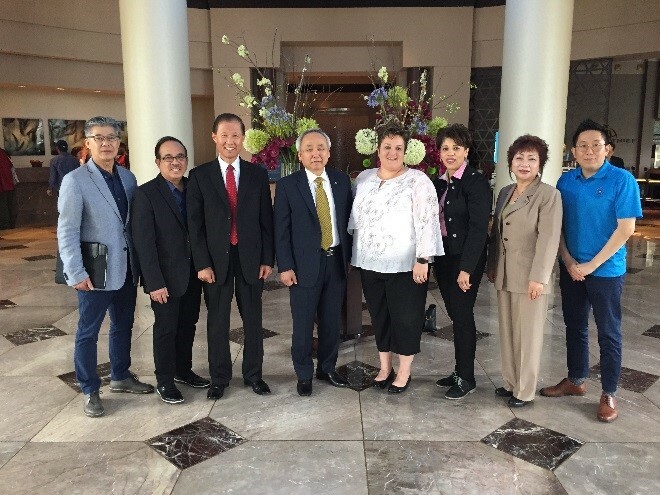 Monica Paul, Executive Director and Cheryl Richards, Chief Diversity & Inclusion Officer, met with the National President of the Korean Sports Association, Keith Ahn; Greater Dallas Asian American Chamber of Commerce president, Gal Jumaoas; and the local Korean delegation to discuss plans for the upcoming festival in Dallas. Thank you to board members that attended the VIP NALEO Conference Briefing. Details of the upcoming conference in Dallas were provided by Chairman, Pauline Medrano, and president, Arturo Vargas. They reported that registration for Dallas has surpassed the 2016 conference that was held in Washington D.C.
One-day conference at SMU's Latino Leadership Institute focused on the recruitment of Latino leadership and Employee Resource Groups in the workplace. VisitDallas has two active Employee Resource Groups. Texas Diversity Council conference in Houston. This meeting will be held at the Renaissance Hotel in Richardson next year. GLBT Chamber of Commerce Celebration of Excellence Dinner. 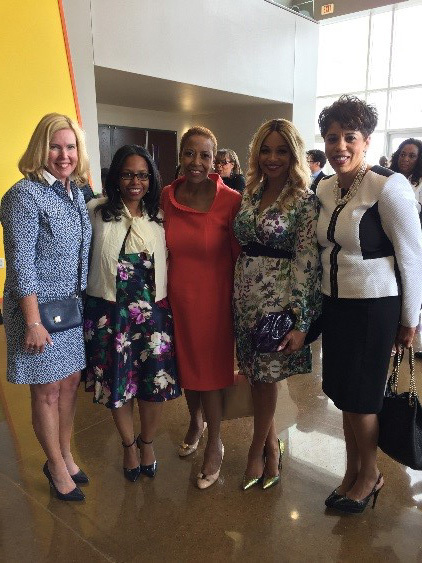 MegaFest Host Committee members attended Easter Services and Brunch at The Potter's House.